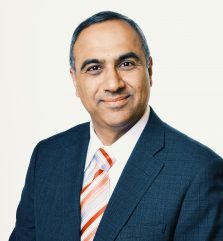 Gary S. Pasricha founded the firm in 1995, concentrating on business and corporate law, technology law, immigration and commercial litigation. Gary represents clients in corporate and business matters including mergers and acquisitions, complex commercial litigation, equity transactions, private placements, corporate governance, commercial real estate and leasing, secured transactions, and employment issues. Gary has significant experience in negotiating and drafting complex contracts such as joint ventures, technology transfers, software development, software licensing, outsourcing, services, consulting, employment, manufacturing, distribution, marketing, and employment. In addition, Gary provides representation to startups and emerging companies, counseling companies and their management from inception to final exit. Gary’s services include negotiating and drafting generally required agreements such as certificates of incorporation, bylaws, founders’ agreements, employment agreements, ESOPs, IP assignments, stock purchase, and investor’s rights, among others. Gary has successfully litigated software licensing, development, and outsourcing disputes against Fortune 100 defendants. Gary is passionate about giving back to the community. He volunteers his time with several nonprofits and community-based organizations and frequently advises on legal matters on a pro bono basis.